Plus, you'll smash workout boredom, burn MORE fat in just minutes, skyrocket your conditioning and double your athleticism... all without EVER stepping foot on a cardio machine ever again. It was a cold December morning back in 2002. 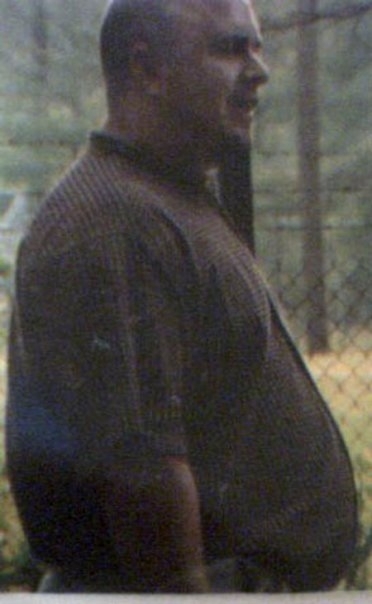 That morning, I was 300 pounds and I was only 28. I was wearing 46 inch pants, XXXL shirts and I struggled just to get up and down the stairs. Shamefully, I was playing my favorite football game, Madden, on the Playstation. I threw an interception, and it was the most important video game interception of my life. In the flash of just one moment, I had an epiphany. Out of frustration, I threw the controller hard to the ground (and to this day, I swear to you the linebacker that intercepted it must have been 8 feet tall, but whatever). As I bent over to reach the controller, it hit me… HARD. I suddenly realized I was no longer the lean, athletic guy I was in high school. Instead, I couldn’t even see my feet when I bent over? “Who am I?”, I asked myself inside my head. I then reflected back to when I failed many times to “lose weight”. It would usually only last 3 weeks at most and I ended up frustrated and tired because the workout schedule was too demanding and the diet was just too strict. I would always go back to my old ways, including a breakfast of an iced honeybun along with a can of soda. I never logged my calories, but I’m sure between the super-sized lunches and a large pizza for dinner, I was bringing in somewhere between 8,000 to 10,000 calories per day. I would then run my heart out on the treadmill, pouring tons of sweat all over the machines with a Rocky mindset and determination, yet I was getting nowhere. “What’s the deal?”, I would ask myself. I loved the weights and even the bodyweight workouts, but I despised the cardio machines. But I thought that it was a necessary evil. It was part of the journey and I had to do it. It was certainly better than not working out, but I knew there had to be something MORE. There had to be something more rewarding, something that would allow me to enjoy working out and not dread it. I still remember my first day of going to my old high school track and walking only one lap… exhausted. I wondered if I was cut out for this. You Want to Look and Feel More Athletic? Your workout is missing the boat big time. Sorry, but that’s the harsh truth. You don’t have to revamp and start yet a whole new workout program. That’s not the idea. … all with ZERO cardio. In fact, I’m the best proof that using this one secret actually works (and it’s also fun). 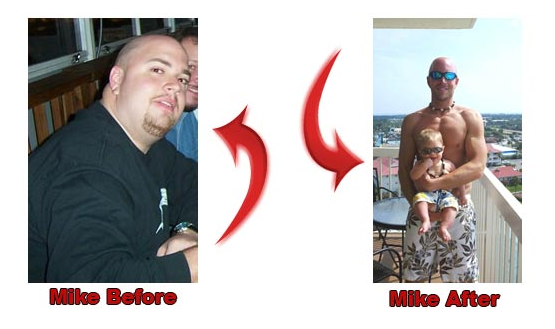 This secret helped me lose 105 pounds of ugly fat, but more importantly, I’ve been able to keep it off. Sit back and look back at how often you’ve been in the gym and you see the SAME people on the treadmills, ellipticals and bikes day after day and yet, they look the same… even after weeks, months and EVEN YEARS. They don’t look more athletic or remotely even FEEL more athletic because they train like people who “just want to lose weight”. It’s not their fault, either. You’ve been fed infomercials, new gadgets and other so-called “cool ways” to simply do MORE cardio, yet you’re still sitting there reading this, still not happy with the way you look and you’re getting frustrated with your boring workouts. Heck, even interval training is boring you (don’t worry, it bores me, too). What is it tomorrow? 30 seconds on, 30 seconds off? Again? But that’s not you. Of course, if it is, that all changes TODAY. I’m going to reveal to you a new way to look and feel more athletic, finally shred that stubborn fat, and even show MORE definition in just a fraction of the time that long, boring cardio takes. In fact, what if I told you that you could get the same results, if not BETTER in about the same amount of time of your WARM-UP for your interval training? And what if I told you that by using this one secret, you’ll become addicted to your workouts, instead of being burned out and that you’ll shatter your current conditioning, all while burning belly fat? Honestly? My first thought was NO (just being transparent). 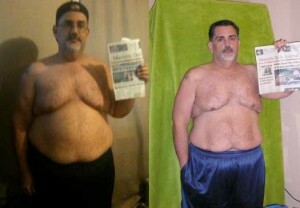 But after losing 105 pounds myself, I was convinced that this one secret certainly does work. 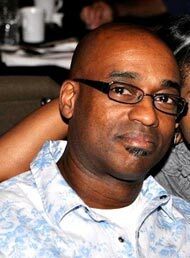 But I wanted to experiment with my one-on-one clients at my facility in Dallas, GA just to be sure I was onto something. Sure, I’ve read about this approach from coaches that use this method with their athletes to help them shed stubborn fat and improve their athleticism, but would it work with the average person that just wants to lose pesky love handles and have more time? And would my clients believe me and trust me? I was actually “prescribing” interval cardio training (also known as HIIT) to my clients for them to do either after their workout or on their off days. Now, they were getting great results, but unfortunately, they couldn’t get to the cardio machines many times. This was due to crowds, especially around the New Year. Here’s the truth – I actually prescribed cardio when I first became a trainer. I simply didn’t know any better. But if you think about it; we’ve both been brain washed by the media and the infomercials. And I’ll even admit – even my textbook recommended increasing cardio! I knew there was a better way. Soon, I discovered interval training, which was a big improvement, but then again, that can certainly get old. 1 minute on, 1 minute off, 30 seconds on, 30 seconds off. I’m sure you agree that even THAT gets monotonous. Plus, my clients had issues getting to the cardio equipment, especially during busy times. It’s hard enough to show up for your workout, but to show up and not even be able to work out? So, I started using these “finishers” with my clients and their results were quite shocking. Not only were they getting just as good if not BETTER results in just a fraction of the time that long, boring cardio takes, but they found themselves getting to their workouts early because they couldn’t wait to start their workouts. We eliminated the need for any and all cardio… including intervals. They knew that they wouldn’t have to step foot on a cardio machine ever again. It was invigorating. Plus, they found themselves handling everyday activities with more energy and finally not feeling fatigue from having to spend hours and hours in the gym. They reinvented themselves. The biggest surprise – was their mental transformation. They built confidence – they joined basketball leagues. They weren’t afraid to go to the beach for the weekend because they were confident in how they looked. … because they LOVED working out and never even feared “burning out”. 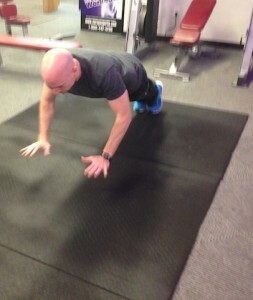 Sometimes, it is easy to get stale, but you have helped me get excited about making my workouts again! I’ve been using your finishers with a female client. I only see her two times a week and in one month she has lost 3 inches off her waist and 2-1/2 inches off both of her thighs… and that’s without making any dietary changes. Thanks for all you’re doing. We’ll hear from more people that discovered this new and exciting way to work out in a moment. But first, I want to talk about why you’re not getting results… and why I struggled, too before discovering the MDL secret. In fact, I just recently saw a commercial on a product that you literally open up the package, sprinkle it on your food and instantly lose weight. Lose 30+ pounds WITHOUT dieting they exclaim. And there are people all over the world who give into these silly products and gadgets because they… like YOU… have lost all hope. Scientists classified the subjects into 2 groups, called the “Compensators” and the “Non-compensators”. Subjects exercised 5 times per week for 12 weeks. 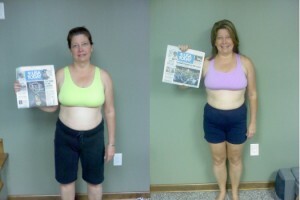 The best subject lost a staggering 32.3 pounds in 12 weeks, while the worst subject actually GAINED 3.74 pounds. The scientists think they know where things went sour. The Compensators were hungrier, and as a result consumed an extra 268 calories per day, all but wiping out their cardio efforts. Therefore, the Compensators lost the least amount of weight, and scientists believe that was due to the huge “compensatory” increase in appetite experienced by this group. Every single client I’ve ever worked with told me they were hungrier whenever they did more cardio. So, if you feel that way, too….you’re not alone. And, there’s great news for you. You can apply the MDL method to ANY workout. You don’t have to start a whole new program. But if you do want to start a new one, you can even use MDL training as stand-alone workouts. You can even use these 31 workouts that use the MDL method on off days to accelerate your results and improve your conditioning in only a few minutes per day. So once you literally “plug” this simple method to your training, you’ll easily double your results with your current program, if not triple it. Before I reveal this MDL approach, I’ll be honest with you. There’s a reason that this method isn’t being used by everyone else in the world. MDL training is simple, but it’s NOT EASY. Let me be clear on that. However, if you’re willing to put in the work, you’ll be shocked at how fast your conditioning and athleticism improves, and how fast your clothes start to fit better. The hard work will be well worth it – that I promise you. Canadian researchers at Queen’s University tested a workout using MDL style training against long cardio. Both training groups increased their aerobic fitness levels by the SAME amount (about 7-8%). That’s right, the short MDL workouts (of ONLY 4 minutes) worked just as well as 30 minutes of cardio! BUT…only Group B, the MDL style training, also increased muscular endurance in common exercises like chest presses, leg extensions, sit-ups, and push-ups. And finally, this intense, but brief training used by Group B also resulted in greater overall workout enjoyment. Read that again – resulted in greater overall workout enjoyment. What is this Secret MDL Training? You already know that using my finishers instead of boring cardio get you better results, as well as improved athleticism and conditioning. But what happens when you take the power of a workout finisher and the density of ladder workouts? And what is “density”? I’ll reveal all of this to you. When you do combine the proven method of a ladder workout and a finisher, you get what’s called “MDL” training, which stands for Metabolic Density Ladder. This allows you to achieve AMAZING results in just around 5 minutes. Now if you’re human, I’m sure you’re skeptic, right? Honestly, I was, too. It’s hard to read the study above and honestly think that it would work just as well, if not better than 30 minutes of cardio. It took some experimentation with both online and offline clients, but after testing and making adjustments, these 31 Ladder Finishers were born. 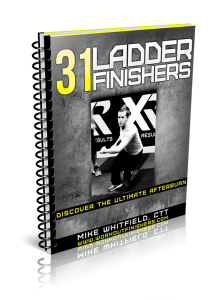 And inside these specific 31 Ladder Finishers, you’ll discover the optimal rest periods and work done in a specific time frame. This density approach is more than just doing exercises in a certain order or certain rest periods. In fact – there are NO rest periods except for the ones YOU dictate. Yes, you decide the rest periods. You’ll discover exactly how to set your rest periods up based on your fitness level inside the program. But no matter what you use as your rest, you’ll be putting in a lot of work, working a lot of muscle, in a very little bit of time. You simply can’t get that same effect with cardio… even intervals. And because of this big metabolic disturbance, your body burns MORE calories to recover and return to a normal state, helping bust through plateaus and at the same time, improve your conditioning… which results in easier functional activities. So not only will you get shocking results, but you’ll never have to do cardio ever again and you’ll never suffer through a frustrating plateau. That’s what these powerful Ladder Finishers give you. Now that you know exactly what is MDL training, you should know if you’re ready for something this intense. Because honestly, these Ladder Finishers are not easy. You may not be ready to challenge yourself with something like this and that’s fine. It can be overwhelming to know that you’re about to complete a metabolic circuit starting with 6… or 8… or even 10 reps and work your way down… or up… or even BOTH. Truthfully, there are a variety of supersets, circuits and look… some ladder finishers have what’s called a “static” move, where you will perform one move for the same amount of reps, while working a ladder of other metabolic exercises. That’s why they are so metabolically demanding – the intensity, the short rest periods and of course, the density. That’s why most people stick to their normal cardio routine – that’s what makes them comfortable. They are not ready to put in that amount of work… even if it is just a few minutes. So here’s my caution to you… there’s hard work ahead, but you’ll see the difference in your mind and mirror… just like myself and many others. What if Finishers Don’t Work for Me? The harsh truth is that most interval programs or “conditioning” workouts might give you a great sweat, but they don’t give you results because they lack density. There’s too much rest or too little rest so your form gets sloppy and you bang out one horrible rep after another. But with the right amount of precision density and the structure of these ladders, you’ll not only burn more calories than any other interval program, but you’ll also improve hormone function and literally unlock your body’s full potential to burn fat both during and after these precious few minutes of honest, focused work. These short burst, (yet very intense) finishers will literally force your body to burn fat all day, whether you’re at work or asleep. Not to mention, you’ll do this in just a fraction of the time that long, boring cardio takes. You’ll be giving yourself back AT LEAST 24 minutes of time per day. Who couldn’t use more time? How Do these Ladder Finishers Work? You can use plug these in AFTER your favorite workout program……yes, that’s right. You don’t have to give up your favorite workouts yet again just to start a new one.Jumping from one program to another can be extremely frustrating. Just plug these few minute workout grand finales to your favorite workout and you’ll finally bust through a fat loss plateau and even jump start your fat loss. Me no have to start new program? Good. Me likey me program. These Ladder Finishers can be used as off-day conditioning. There’s NO FASTER WAY to bust a plateau in the face and improve your conditioning without sacrificing a lot of time. 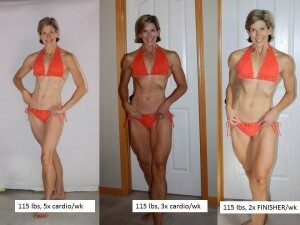 As you can see, you’ll benefit from scientifically proven short-burst workouts by not only losing fat, but GAINING time. Now, let me ask you something. How many trainers have you worked with… or even willing to work with that know this secret behind using the perfect blend of ladder supersets and circuits so that you not only get results faster, but not get injured in the process from overuse injury? How Much Money Are You Willing to Waste on Programs That Last Too Long and Leave You Frustrated and Tired? … and that’s ON TOP of working out with them. You don’t have that kind of time. Now I don’t know about you, but if I could save on average, 24 minutes a day AND get double my results, I would perhaps consider paying $90 an hour. But then again, if I didn’t get results, I would literally be throwing money away because they wouldn’t GUARANTEE my results. However, you could get 31 done-for-you Ladder Finishers for much less than even a HALF session with a mediocre trainer. I’m NOT exaggerating. 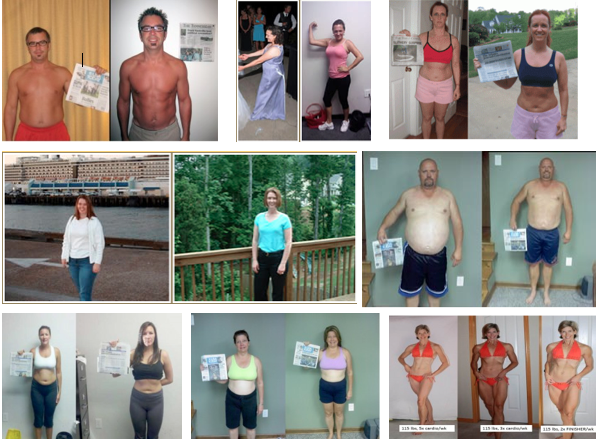 And, you’ll have the confidence knowing that you have a proven plan that works from someone who used these finishers to not only polish off 105 pounds, but has helped thousands of people all over the world lose stubborn fat without ANY cardio and getting you excited about working out again. If you don’t LOVE your workouts for ANY REASON and lose every pound you ever wanted with this Ladder Finishers System, not only can you keep the entire system, but we’ll also give you every penny back. You can try the 31 Ladder Finishers System for a full 30 60 days. If you are not satisfied for any reason during those 60 days, you simply let us know and we’ll send you a full refund (and you KEEP the Ladder Finishers). 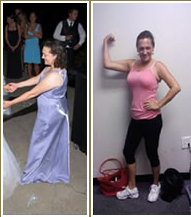 We are so confident that you’ll LOVE the workouts AND the results , that we’ve fully removed any and ALL risks for you. That’s right, there is NO risk for you at all. After working with thousands of people using these addicting finishers, this system has already worked for them, and I’m confident they will work for you, too. I’m sure you’ve already tried increasing your workout time, or perhaps tons of fad diets. Sure, they have worked for a little while, but then you soon realized that you couldn’t keep that up forever. Finally, you have a solution for immediate and long term results… without ever having to do cardio again. This your chance, just like thousands before you, to finally unlock your body’s full potential. We’re not just talking about fat loss, either. Not only will you burn even the most stubborn fat, but you’ll also discover the inner athlete in you. And more importantly, you’ll have the blueprint to keeping off your stubborn fat … FOREVER. P.S. Remember, you won’t find this kind of unique programming anywhere else. There have been some great programs out, but they simply don’t use the MDL to its full potential. P.P.S. How much money are you willing to waste on a mediocre trainer or some other program that won’t give you results and leave you tired and frustrated? And do they guarantee your results? P.P.P.S. These proven finishers are MUCH shorter than cardio… even intense interval training. Yet they are so much more effective because they have use MDL training. Plus, your results are guaranteed. If don’t LOVE these Ladder Finishers or you don’t get the results you’re looking for, you KEEP the entire system PLUS we’ll give you your money back.